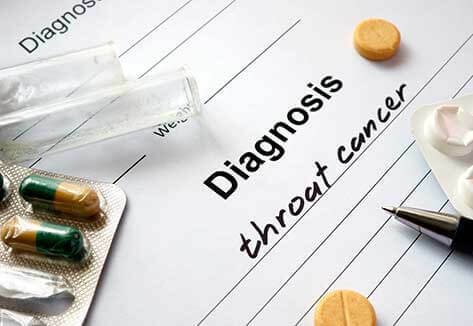 Sinonasal cancer treatment is largely dependent on the location and stage of the disease. Sinonasal cancer in its early stages will require a different course of treatment as opposed to advanced Sinonasal cancer. Although nasal cancer treatments vary from case-to-case, most patients will be required to undergo surgery to remove the tumor as well as postoperative radiation therapy. There are also cases where chemotherapy is a required course of treatment for nasal cancer. Surgery is typically a necessary course of treatment to remove the tumor from the patient’s sinonasal cavity. However, in some cases, the tumor may be inoperable, which would require the patient to undergo electrodissection (burning the growth with currents of electricity) or cryotherapy (freezing the growth with liquid nitrogen). Radiation therapy is commonly used post surgery to clear the sinus area of any damaged tissue. It also works to stop any new malignant cancer cells from growing. Chemotherapy utilizes potent drugs designed to kill cancerous cells. The drugs can be injected intravenously or taken orally and often cause serious side effects such as nausea and vomiting, diarrhea, weight loss, hair loss, and fatigue. After undergoing nasal cancer treatment, patients often continue to visit their doctor at regular intervals for several years. Just like with other cancers, nasal cancer isn’t as likely to return in those who have been in remission for more than two years. Nasal cancer treatments can be very expensive and pose serious financial difficulties for patients and their families. Those who are diagnosed with the disease as a consequence of occupational exposure to wood dust or metals may be eligible to recover their damages including medical costs, pain and suffering, and more. Please contact Allen Stewart, P.C. today for a free consultation. An attorney at Allen Stewart, P.C. will personally evaluate your case and explain your rights, discuss all of your options and address any concerns you have in regards to your case. A nasal cancer diagnosis can be devastating for a patient and their loved ones—emotionally, physically, and financially. If you or someone you love has nasal cancer that you believe may have been caused by occupational exposure to wood dust or metals such as arsenic, cadmium, chromium, or nickel, it is important to know that you may have legal remedies available to you.